ARCHITECT@WORK London will open its doors and plays host to the UK architectural community at Old Truman Brewery in Shoreditch, Wednesday 30th and Thursday 30th January (1-8pm). The global two-day trade event is aimed at architects, interior designers and specifiers and focuses on innovation. The two days include free admission for registered trade visitors and complimentary catering throughout, encouraging networking and downtime as well as deal-making opportunities. Register here using code 1480. Leading international architectural product suppliers will show over 200 innovative products and offer the latest innovations in surface solutions, lighting technology as well as interior and exterior fixtures and fittings. All exhibitors go through a rigorous selection process, with an external judging panel overseeing the product selection, to ensure that this is one of the UK’s most highly respected trade shows of its kind. To tie in with the theme, design consultancy and library MaterialDriven will present MATERIALS THAT…, a curated collection of materials and projects have been future-proofed by either having health benefits, being adaptable, resilient or complete a cycle. ...ARE HEALTHY will focus on materials that contribute to health and well-being and are not only toxin-free but also toxin-absorbing, including fabrics embedded with seaweed and carbon negative composites made with captured greenhouse gases. ...ADAPT will showcase modular products that can easily be moved or made larger/smaller. ...ARE RESILIENT will include durable materials that can withstand all the elements. 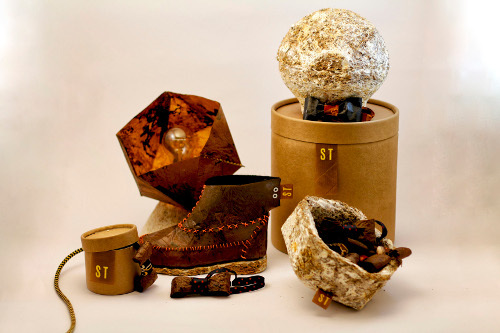 ...CLOSE THE LOOP will highlight materials that have longer life-cycles and can be reused, repaired and recycled rather than being sent to landfill, from bioplastics to bricks grown from mycelium. One of the installations at this year's show is artwork designed by Belgian contemporary conceptual and sculptural artist Studio Job, provided by glaze specialist Koninklijke Tichelaar. Koninklijke Tichelaar’s complex restoration of a seventeenth-century flower pyramid, one of the most prized pieces in Amsterdam’s Rijksmuseum, prompted the Pyramids of Makkum project. Four designers were asked to come up with a contemporary response to the flower tower. 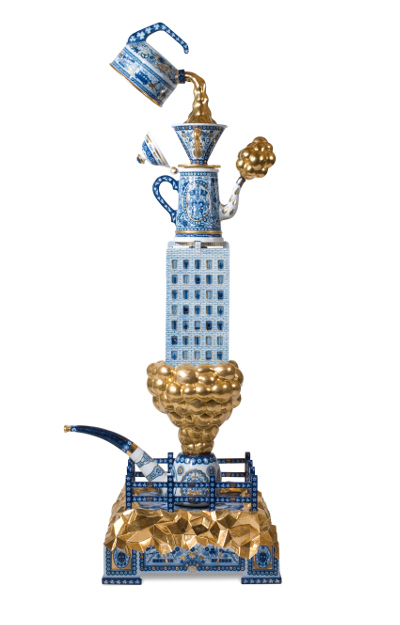 They had to keep to the idea of an ornamental vase and stay within the dimensions of the original flower tower. The designers were at liberty to include any aspect of the historical context or tower they so desired. Other show features include a project wall by world-architects.com and RIBA’s Pop-Up Book Shop for Architects and Designers. Register here https://registration.n200.com/survey/28liwg1087240 using code 1480.